SW6 Area Guide - What makes SW6 so great? Where do SW6 locals go? Share your favourite place to go to in SW6. "The name Fulham Palace is misleading, owing to the fact that it has never been belonged to the Royal Family. Since its acquisition by Bishop Waldhere in 704, the land was home to the Bishop of London up until 1975 and is called a 'palace' because bishops are likened to royalty." Fulham Palace is a beautiful and peaceful place to visit with a fantastic cafe serving delicious sausage sandwiches! We retired here - it is welcoming with a village feel, great shops and transport links - after 6 years it is home, we love it! I love Sands End because of the gasometers, which are the oldest in the world. It's relaxed, green, quiet and yet close to the hustle and bustle. Central but quiet patch. Walking distance to Chelsea Harbour and easy access to airports, 4 supermarkets and individual boutiques. Eclectic mix of friendly people from across the globe so anyone fits in. Fulham and Parsons Green have a unique community spirit for young professionals and families. From the famous furniture shops on Wandsworth Bridge Road to the boutique shops and cafes on Fulham Road, Fulham captures the beauty and charm of South West London. Parsons Green sits in the heart and is a vibrant, friendly and affluent centre point. Fulham and Parsons Green have a unique community spirit for young professionals and families. From the famous furniture shops on Wandsworth Bridge Road, to the boutique shops and cafes on Fulham Road, Fulham captures the beauty and charm of South West London. Parsons Green sits in the heart and is a vibrant, friendly and affluent centre point. I love this area because it is unique and full of life. It is filled will shops and beautiful scenery. Easy access to the centre of London or just down the road for a bite to eat. It's got everything you need, from the fabulous to the not too expensive. 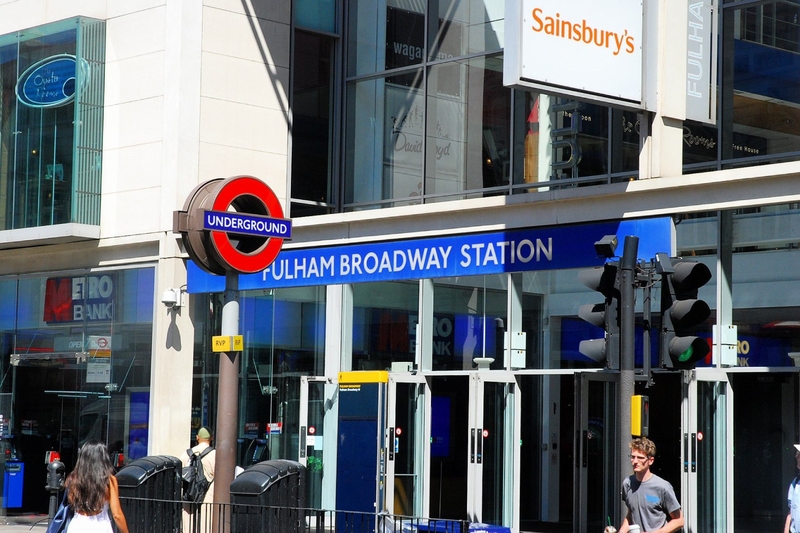 Fulham is very central, with easy access to most areas. It is in a great loop of the Thames with riverside walks. Most people seem very trendy too, which is pretty cool. Overall a great place for someone new to London. It is very neat and clean. The Sands End pub, is amazing, great food and it is right next to Imperial Wharf. What do you think of SW6? First Steps is at the heart of the Chelsea and Fulham community. It is a living vibrant place where young children are given the chance to realise their potential and develop their personality through dance. At First Steps we lovingly guide nursery ballet children all the way through to their Grade 8 RAD Award. Classes are held for 2 1/2 year olds to 18 year olds from Mondays through to Saturdays. SW6 is the postcode district in South West London incorporating the areas of Fulham and is covered by the Hammersmith and Fulham local authority. What are your favourite things about SW6? Find out how much your flat or house is worth om SW6. Feedback about living in SW6 has been submitted directly by the public and may not neccessarily reflect the views of Foxtons. The description of SW6 was modified from Wikipedia and is available under the Creative Commons licence. Land Registry data is Crown copyright. All the views and contributions contained within Foxtons Local Life are those of the contributors. All content is assessed before publishing for taste, however free opinion is encouraged. Foxtons accept no payment or sponsorship for content that is posted about SW6.